I’ve voted in every election for which I was eligible. The voting age changed from 21 to 18 in time that I was eligible one election earlier than I would have been. I’ve always considered the right to vote an important privilege. 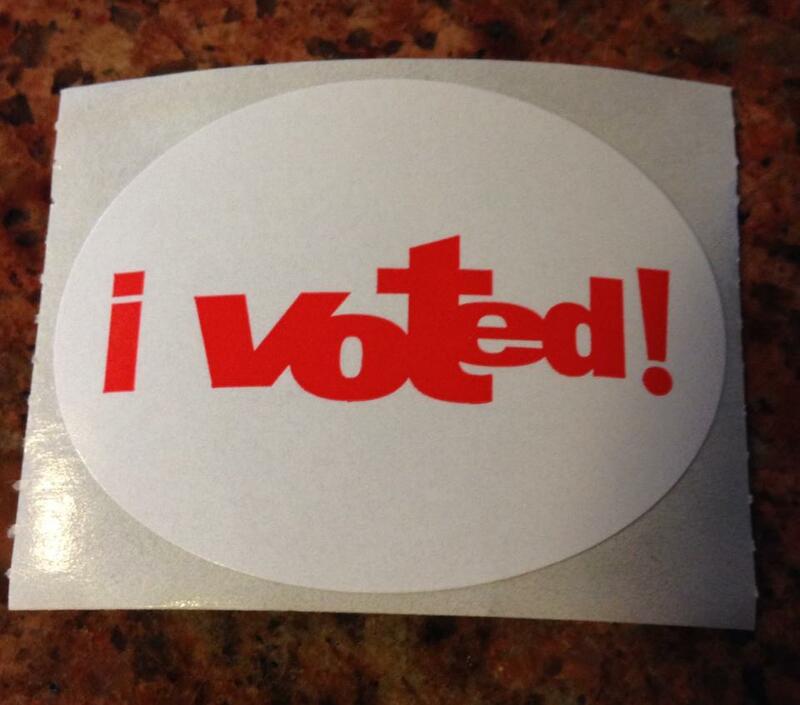 My very first vote was conducted by absentee ballot while I was away at college. The election I came closest to missing was three weeks after the birth of my first child. My new baby had a cold and I hadn’t slept for more than two hours in a row for days. It was an exciting presidential election and the news was filled with coverage of historically long lines at the polls. For the first time, I felt my vote was not all that important, that one vote one way or the other would not make a difference. My loving husband (the one who slept at night) came home from work that evening and insisted we should go together to vote, that it was an important first for our new family. I think I was just too tired to argue my stand effectively. Reluctantly, I agreed. Of course, the baby would never remember, but I am glad we did it. My streak is intact. I’ve voted in person, by absentee ballot by mail, by absentee ballot before the election or, now, by early voting, a convenient option here in Illinois. Maybe my one vote doesn’t make a difference, but I’m not prepared to take that chance. This entry was posted in Family, Home, Memoir, Memories, Personal History, Politics, Stories. Bookmark the permalink.